Liverpool’s pre-season plans appear to have been leaked, with the Reds taking in three games in America plus another friendly in Dublin this summer. It’s long been reported that the Reds will play three games in the US as part of the ‘International Champions Cup’ – and those games are to be confirmed at an event in Miami this week. However, ESPN prematurely published the list, showing that Jurgen Klopp‘s side will play in North Carolina, New Jersey and Michigan. 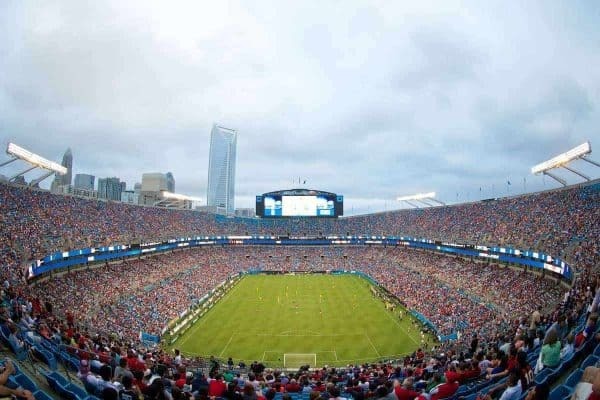 The game in North Carolina will take place at the Bank of America stadium in Charlotte, against Klopp’s former side Borussia Dortmund – previously this had been reported to be played in Nashville, Tennessee. The Reds played in Charlotte against AC Milan in August 2014, weeks before Mario Balotelli switched clubs. The high-profile friendlies will also see Liverpool face both Manchester clubs, with the game against United being at the 107,000 capacity Michigan Stadium, known as ‘The Big House’. Meanwhile, Italian side Napoli say they have agreed a friendly against Liverpool to be played in Dublin on August 4. 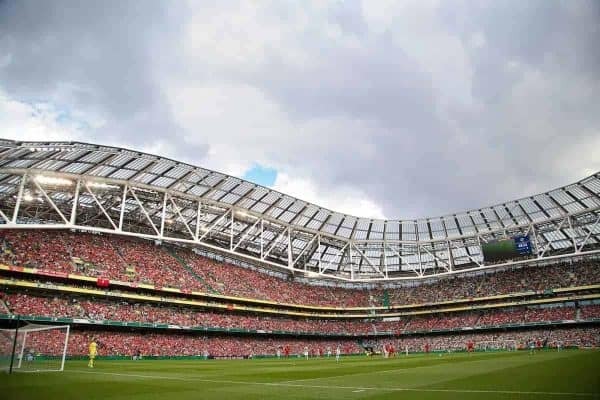 Their president Aurelio De Laurentiis said: “For now, we have organised a friendly with Liverpool in Dublin on 4 August.” So that doesn’t appear to be finalised yet. The Reds played at the Aviva last summer against Athletic Bilbao. Liverpool are expected to confirm a home friendly at Anfield for the weekend before the season starts, and will take on Tranmere Rovers and one other local side before heading across the Atlantic to play the three games in America. Another game, possibly in Scandinavia, is also expected to be on the itinerary. * All dates to be confirmed. American tour dates very likely.